As its name suggests, not only is this range very distinctive and aesthetically pleasing. In use it is a pleasure to behold. 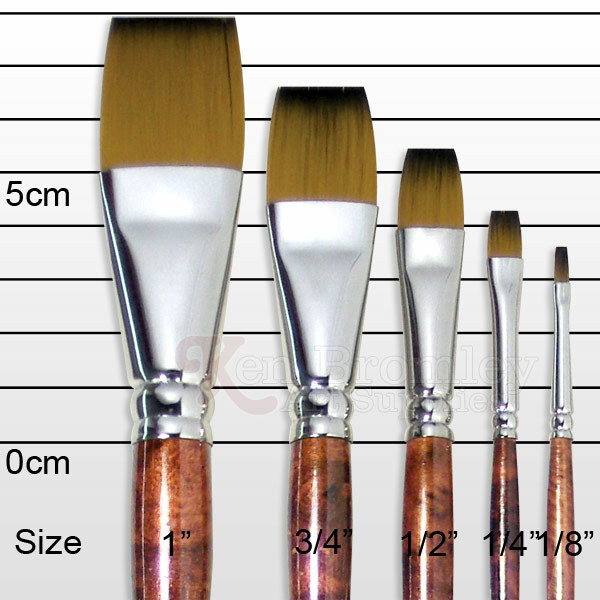 Suitable primarily for watercolour painting it is also fit for purpose with thinned down acrylic. They have a delightful "spring", they point in a most pleasing manner and they hold colour in a wonderful way. Available in sizes from 1/8" to 1". 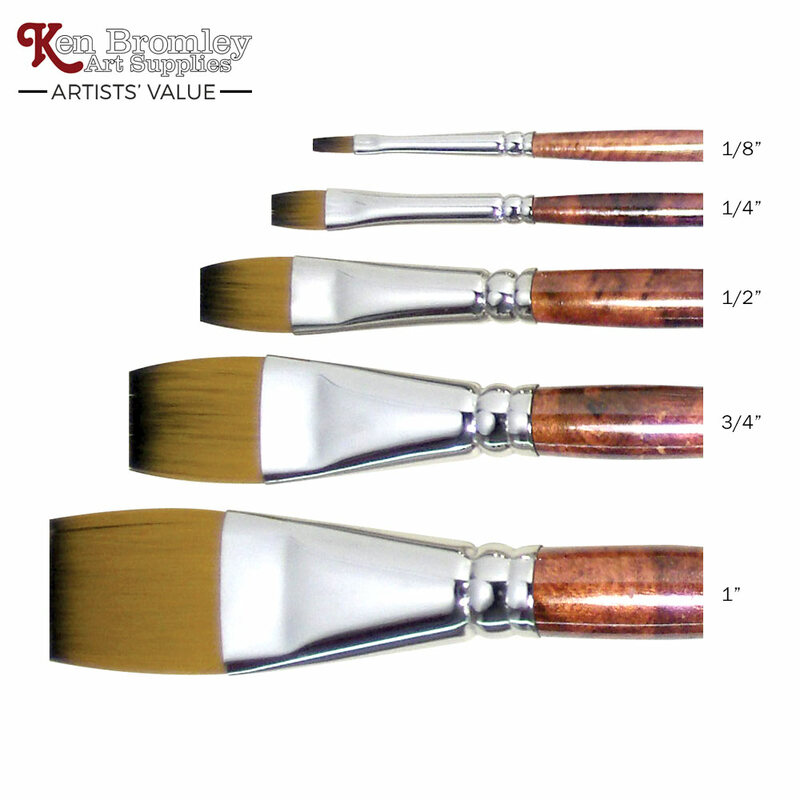 These brushes have a wide variety of synthetic filaments, are ferruled in nickel finish and fashioned with teak effect handles. First class brush - Ken Bromley Artists' Value Flat Panache Brush Size 3/4"
Very good product - Ken Bromley Artists' Value Flat Panache Brush Size 1/4"